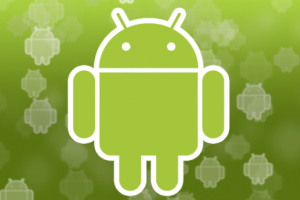 Have you ever wondered what the most used Android devices are? Have you ever thought about what devices are actually used the most at the moment? You see people around and about with their iPhones and their various Android devices, you see some models a lot more often than others. 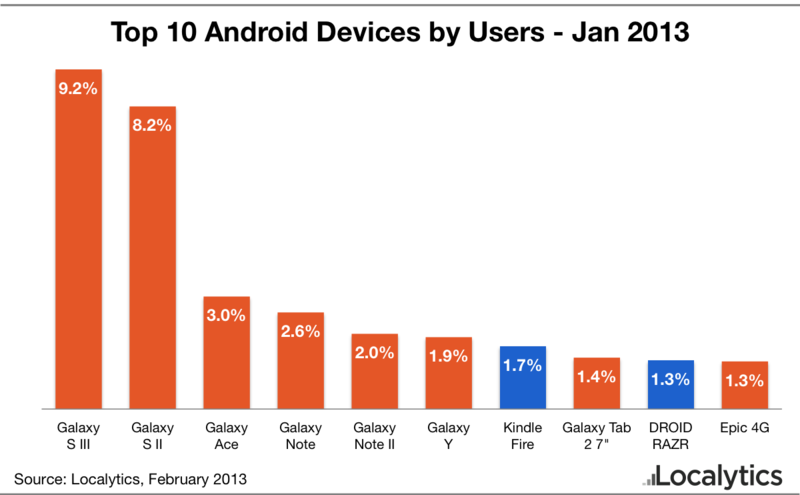 Localytics obviously wondered which were the top ten most used Android devices at the moment and so they used their statistics to create a sweet top ten! If you follow Android and the tech news more generally then you'll know Samsung are doing amazing and everyone else is doing OK at best! Well this top ten pretty much demonstrates how true that is and it shows us just how dominant Samsung Galaxy series is in the Android world. The South Koreans absolutely smothered the top ten with no fewer than eight of their devices in the ten most used Android devices! 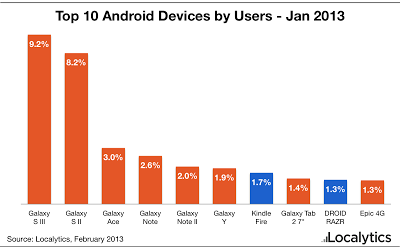 This information includes both phones and tablets and Samsung's dominance was only challenged by Amazon's Kindle Fire which is the seventh most used device and the Motorola Droid Razr which is currently ninth! The bar chart below gives us exact percentages! The good news for Samsung continues as for the last three months the company has held somewhere between 47 and 48 percent of all the active Android devices in the world, which is simply staggering! The only title which is currently missing from Samsung's trophy cabinet is that of most used Android tablet. At the moment Amazon have that position on lock with their Kindle Fire. The Fire itself accounts for 37% of all Android tablets, the vast majority of those are currently in the US as Amazon only recently unleashed them on the rest of the world! Into the future it's hard to see much more room for Samsung to grow, but by the same token we can't seem them falling from grace any time soon unless their next Galaxy S really alienates consumers! What do you think? Will this look pretty much the same at this point next year? Let us know in the comments below!